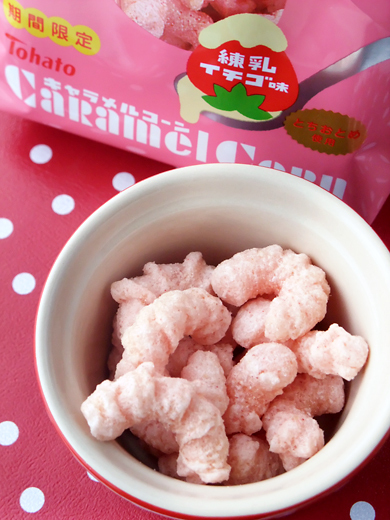 Caramel Corn for early spring, rennyu ichigo (condensed milk & strawberry) flavor. Can you see the Caramel Corn Girl blush her cheeks? Both of package and the flavor are so sweet! 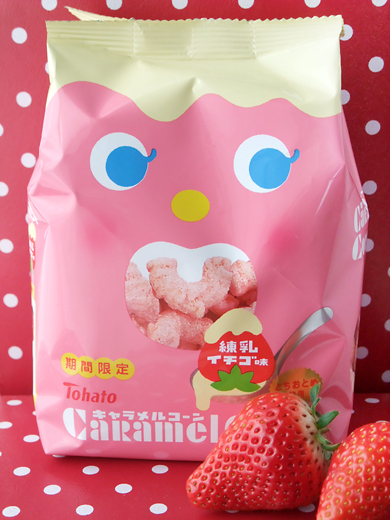 I would like those, I like strawberry flavor ice cream. yeah I agree with jane. this looks great!